A Distance Education MBA was the trend, is the trend and will always remain as a trend in India. The requirements popping out every now and then requires a benchmark degree i.e. MBA. Students, aspirants, entrepreneurs and even professionals are always gearing up or trying to inculcate the education in their resume. Working professionals don't have time to attend the regular classes thus a distance education MBA programme is most suitable option for them. Not only a distance MBA affordable, it also provide all the flexibility to the students to study at their own preffered time. Since time is not affordable always, in this article we are going to mention some universities that offer best distance education MBA in India. IMT Ghaziabad is one of the top B-Schools in India offering a distance education MBA program. The institute is recognized by the DEB University Grant Commission and is a almost a decade old creation. In a very short time, the institute has gained quite a reputation for itself. IMT CDL offers a 2 year Post Graduate Diploma in Management (PGDM) through the distance learning mode. IMT CDL PGDM is considered equivalent to an MBA program by many big corporates. Students may also opt for a dual specialization by paying the additional fee. 10, 10+2 and Graduation in any discipline from any recognized college is a must. Candidates can apply online or offline as well by visiting the campus. A small application fee will be charged along with a lump some cost submission. Fee structure can be checked with the admission counsellors as no claims are available online. NMIMS or the most superior colleges of distance learning discipline and has been accredited with NAAC Grade ‘A’ certification. The university offers flexibility and convenience to its students along with a beautiful distance learning education setup. Just like other educational institutes, NMIMS requires candidates to pass 10, 10+2 and Graduation from any recognized school and college. Work experience is given preference in NIT distance learning selection process. Candidates can apply online or visit the campus for direct program registration. Admission fee of 1,000 INR and a full time payment of 76,000 INR is required. Sikkim Manipal University is one of the oldest universities who planted out the distance learning programs in India. The distance education MBA program is one of the most popular courses offered by SMU-DE. The course structure is based on peculiar industry standards and crafted by qualified professionals from the industry itself. The SMU-DE distance education Master of Business Administration (MBA) course is a two year degree course that offers 4 MBA specializations. Graduation, 10 and 10+2 is a mandatory qualification in order to apply. Candidates can apply online through university’s website. The semester fees is around 20,000 INR which is inclusive of 5,000 exams fees. A tough competitor for the others and also one of the first choice of any student, SCDL has a plethora of credentials to flaunt. If you're looking for a distance education institute for doing your MBA at an affordable fee, SCDL is the option for you. Being an institution, SCDL only offers 2 years post graduate diploma course in business management which is considered equivalent to the MBA program. 10, 10+2 and Graduation from any recognized university is a mandate. One time payment of 36,000 INR is charged. Second payment of 24,000 is there and then a last payment of 16,000 INR is charged. IGNOU is India’s oldest and brilliant open universities which are providing solutions since more than 5 decades. The university is known for its well crafted distance learning solutions and have a huge student database. The IGNOU MBA is one of the most reputed and highly accepted distance education program in the field of business management available in India. 10, 10+2 and Graduation from any recognized school and college is a mandate. Candidates can apply online or go to any of the IGNOU centers established in the city. IGNOU has a standard fees of 31,500 INR for nearly every distance learning course. 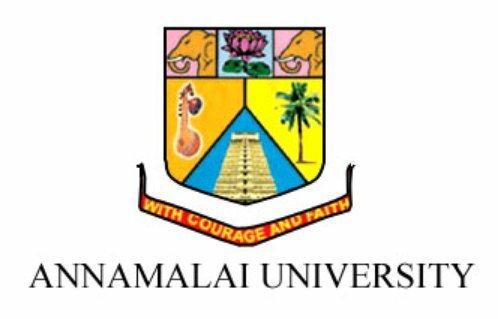 Based in South India, Annamalai University is one of the oldest and the most reputed universities of the world. The university offers several specializations to its students which are majorly industry’s standard wise crafted. Candidates must have 10, 10+2 and a graduation from a recognized school and college. Candidates can apply online through university’s website or by visiting the college campus as well if they wish to go through the campus ambiance or meet the faculty. The total fees of MBA distance learning is around 40,000 INR approximately. The exact figure can be checked after consulting an admission counselor. Merit based approximation of fees is also there. Amity University is one of the finest of the finest when it comes to deliverables and quality education. Unlike other private universities, Amity has uplifted their standards and has been successful enough to segregate themselves from the rest of the Private university herd. The candidate must be a graduate with minimum 40% marks to be eligible for Amity distance MBA course. The application process is simple, candidates can apply online or offline as well; the application fee costs around Rs. 1100/-. Rest of the proceedings can be continued accordingly. The fee of MBA online distance learning program is around 1.5 lacs. The institute has launched a different mode of imparting education with offers like: Virtual classroom session,Video lectures, Personal contact program, E-learning and Online video library as well. 10, 10+ 2 and Graduation from any recognized school and college is a mandate. No entrance exam. Candidates can apply online and also visit the campus as well for a detailed tour or acknowledgement of education standards offered by the university. The whole program costs around 60,000 INR. There is a smart breakage in payment options as well. Lovely Professional University has grown tremendously since the past few years. Amazing distance learning program segregation, flexible learning schedules and more of one on one faculty interaction, LPU is a complete distance learning package. 10, 10+2 and Graduation (any discipline) from a recognized school and college is a must. Candidates can apply online or visit any authorized learning center of LPU situated in any city for a detailed analysis of the process. . Per semester fees of LPU is 9900 INR. There is an option of lump sum payment as well. Suresh Gyan Vihar University, Fairly a new university as compared to the others on the list. It is recognized by AICTE and UGC both. One of the distinguishing factor of SGVU is that it has implemented edusphere in its distance learning education programs. Candidates should have a valid 10, 10+2 and Graduation degree from a recognized school and college. Candidates can apply online through company’s website or either by approaching the university directly. The total fee for SGVU distance education MBA course is INR 74,400. The fee can be paid in installments. Although, if someone opts for making the complete payment in one go, the total fee needs to be paid is INR 62,400. That means, you can save INR 12000 by paying the complete course fee in one shot. 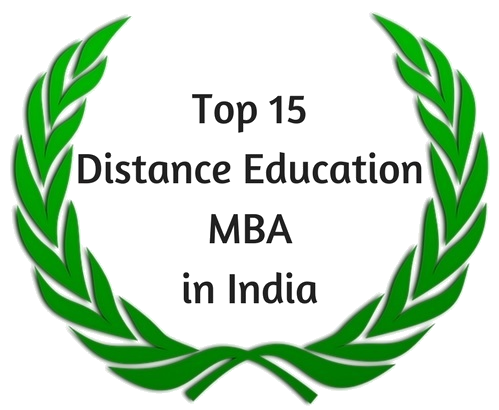 ICFAI University has been ranking as one of the best universities in India for a distance learning MBA course since decades, reason being simple, quality and scope of learning is huge. Established as a non-profit association, ICFAI has consistently produced students who has achieved phenomenally well in the industry. The university has launched several distance education programs for professionals and aspiring entrepreneurs who can adjust learning and work in the same schedule. The candidate must be a graduate in any discipline to eligible for the ICFAI distance MBA course. Candidates can apply directly on the university’s website or offline as well by enrolling themselves from an authorized office of ICFAI in any city. The whole program costs around 65,000 INR. 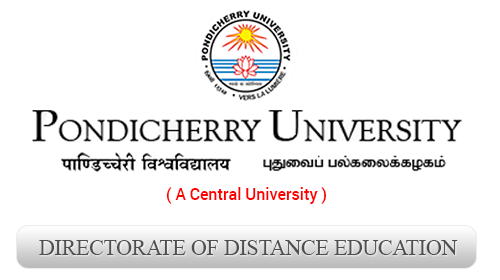 Pondicherry University is around 7 decades old and has a history of imparting excellence with pure perfection. The fees of MBA distance learning is 24,925 INR. MIT’s distance learning education program is inspired by a unique project management tool which simplifies the learning process offshore for students. Candidates have to get in touch with admission counselor for detailed fee structure. Just like Amity University, JNU is a private establishment which is upgrading itself with time. The university is more renowned for its well qualified faculty who have exponential expertise in their domain. Total amount payable is around 21,800 INR which is inclusive of examination fees. Established since past 160 years, University of Madras doesn’t need any recognition words to back it. The entire fees of MBA distance education is around 17,000 INR. To give you a clear picture about how much an MBA professional earn every month, we have taken the data from a popular salary website PayScale.Com.